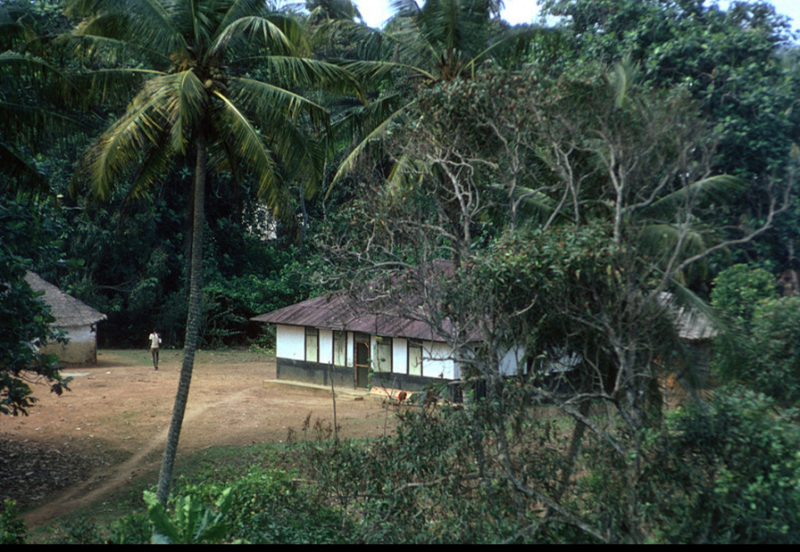 While in the Peace Corps I was stationed in Cavalla, Liberia. Was the only PCV there and this was my home for the first year. Except for the Green Mamba that paid me a visit in my bedroom, this was a great home. Just to the right was the graveyard of many of the first missionaries that came to Cavalla. out of interest when were you there? Arrived 2/68 and left Liberia 12/69. So you know the Liberia that I remember! I have some interesting memories! While there, I got to know the future President of Liberia and had dinner at her mother's home in Monrovia. Peace Corps was still new then, I was on my own...no phone etc. Now Peace Corps all have phones and computers. Times have really changed in the 50 years since I arrived in-country. Remember going to the main post office in Monrovia and the pot of glue and a brush. Stamps would not stick so you glued them down...my apologies to all Liberian stamp collectors! Also we were told to never put a letter in a RL Mailbox. I guess a Peace Corps Volunteer working in Monrovia had the job of opening the boxes and found letters that were years old.